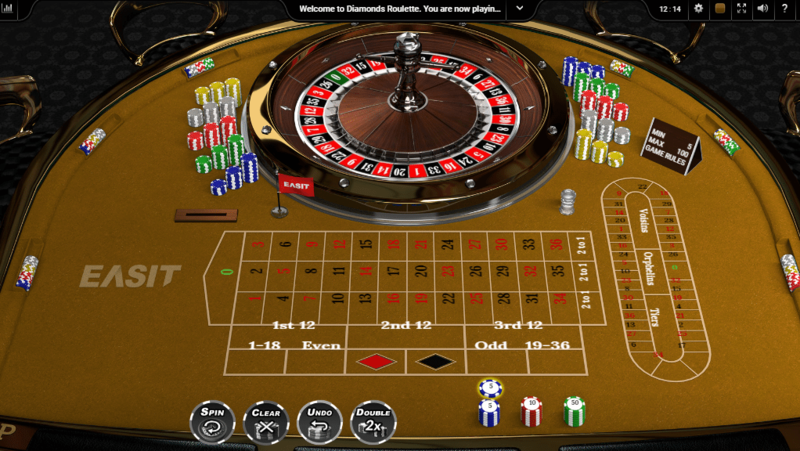 This is a great free roulette game for the players who love to check out the variety of Roulette games. There are 37 numbers available to play and also the European Roulette has got an oval section to the right of the 37 number grids. The side section allows different unique bets like Orphan’s bet, Tigers du Cylindre, Voisins du Zero and the neighbors bet. The inside bets are very simple and straightforward. The straight-up bet is a bet on singular number and it has got the payout of 35 to one. The split bet features two numbers and has got 17 to one payout. One more interesting bet is the street 3 bet that goes at the lower end of any line numbers. It has got an 11 to one payout. With the four corner bets you will have eight to one payout. With a line of numbers, there is a payout of six to one. There are outside bets also. It includes bets like a 12 number column, black, and red, even, odd, 1-18 and 19-36. With the 12 number bets you will have 2 to one payout. The remaining choices of this game will have one to one payout. Initiating a spin is easy. All you have to ensure is how much you want to bet. The minimum is $15 and the maximum is $500. You can select any amount within these figures. Click on the chips, then click on the numbers and then spin the button.